Hi everyone! 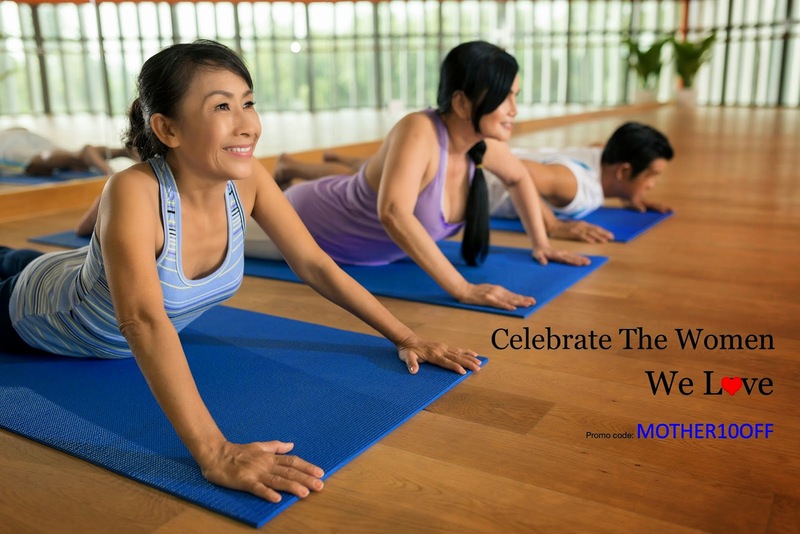 Pas/shen and WellnessYogi are having a Mothers' Day promotion where individual workshops and individual Full Day passes will get a 10% discount with the promo code MOTHER10OFF. This promotion is valid through 17 May 2015 and I think it's a great idea because instead of stuffing our faces silly at the buffet line, we're treating our mums to something that's healthy! Bond with your mother (or daughter) through yoga and other workshops during the RESET event on 11 July! After all, a family that exercises together is sure to stay together longer. Don't know about you but my mum is going! Yup, got her a ticket. You can get more details about the event and purchase your tickets below.